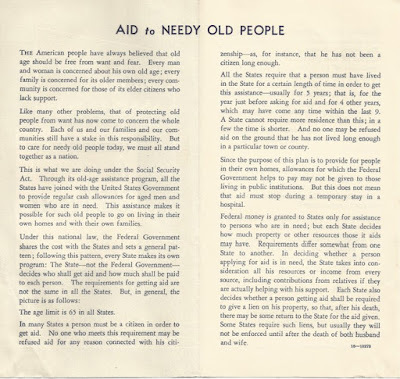 There is a long history of economic security on the government's site if you have the time. 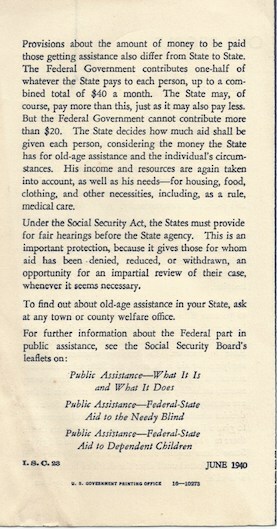 I was only interested in the year the current form of Social Security as we know it was established - 1935. This pamphlet and a few others I pulled from a box of old papers provide a peek into what the purpose of the program was near its inception. 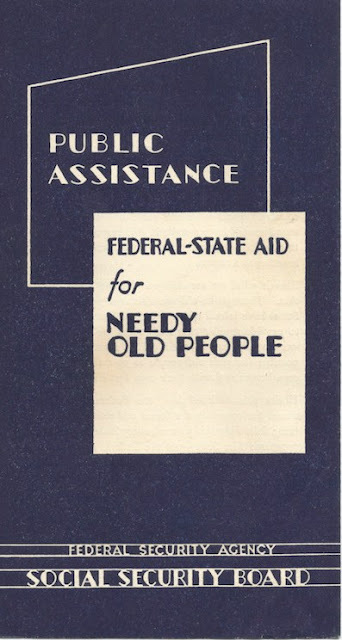 I could't resist mocking how they expressed who the program was for...needy old people. Dance Like Nobody's Watching (Even-though they will be) -UPDATE!!! Were you ever the nervous kid, about to step out on stage and plink away on a piano that you'd given up playtime to learn? Or, did you put on taps and a leotard and try to fall in-time to music with 5 - 10 other dancers dressed like you? 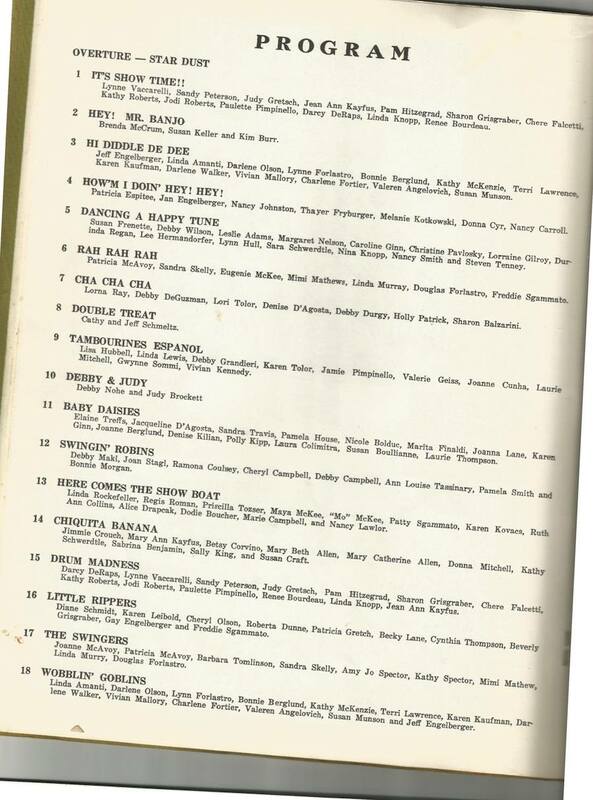 I never did, but to kids (then and now) the full recital might feel more like a Broadway premiere. 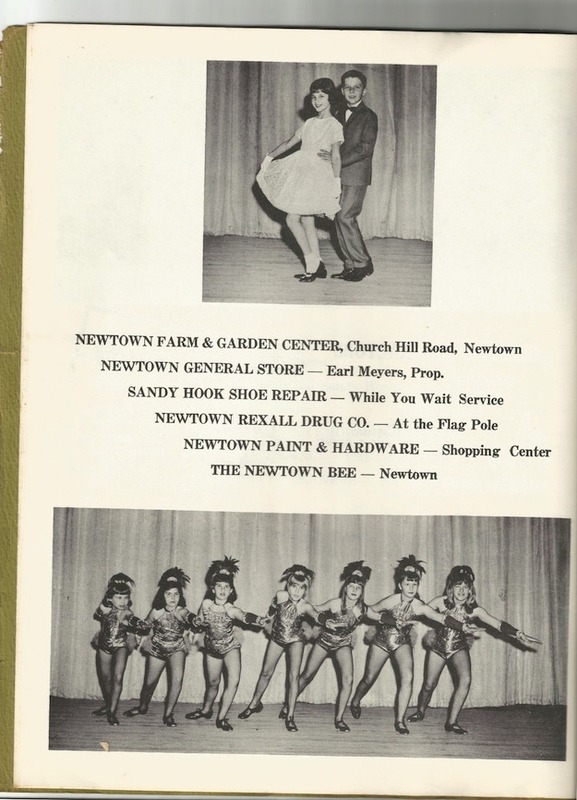 As I recently discovered, for the residents in the area of Newtown, CT fifty-one years ago it was like a Broadway premiere, and still is. 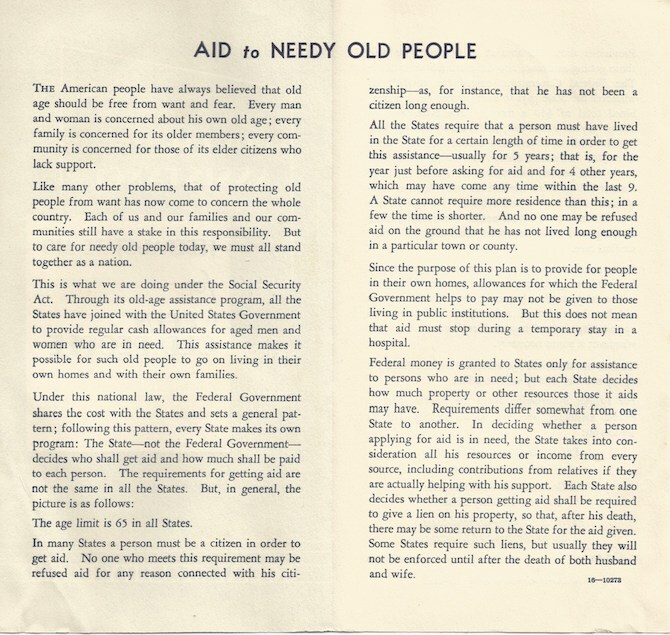 This 50 year-old program was sitting in a basement at a recent estate sale and I picked it up like I would any piece of local history....to look at how things were, and what people looked like. 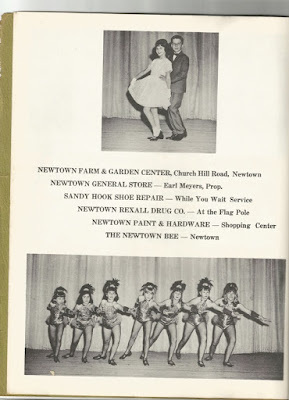 The Lathrop School of Dance has been a community fixture for over 60 years, and no matter where you live there is probably a dance studio not far from you just like it. This is an activity that no only keeps kids off the streets, but more important these days, off the screens. This program represents a dance studio with a long view towards building up the presentation and the excitement for the dancers and their families. It's all about having your name in the program. 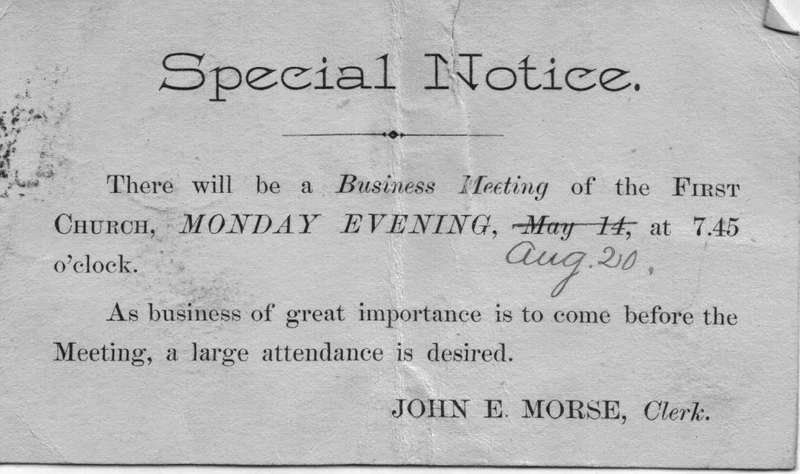 The other reason I pick these things up is to look at the local businesses and wonder which ones are still around and where the ones that are no longer were located on these streets. It's a walk through the past. The other thing I enjoy are the coincidences that occur with each find. 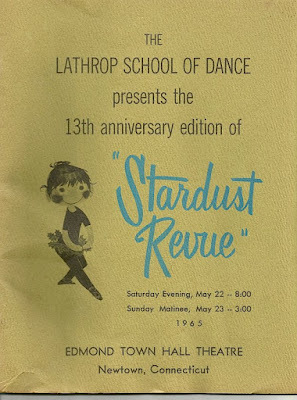 When I looked at the Lathrop School of Dance website to see if they are still doing the Star-Dust Revue, it turns out they are...in fact the 63rd Review event is next weekend. I will be in touch with the owners of the studio to see if they will allow me to donate this program to their archives. 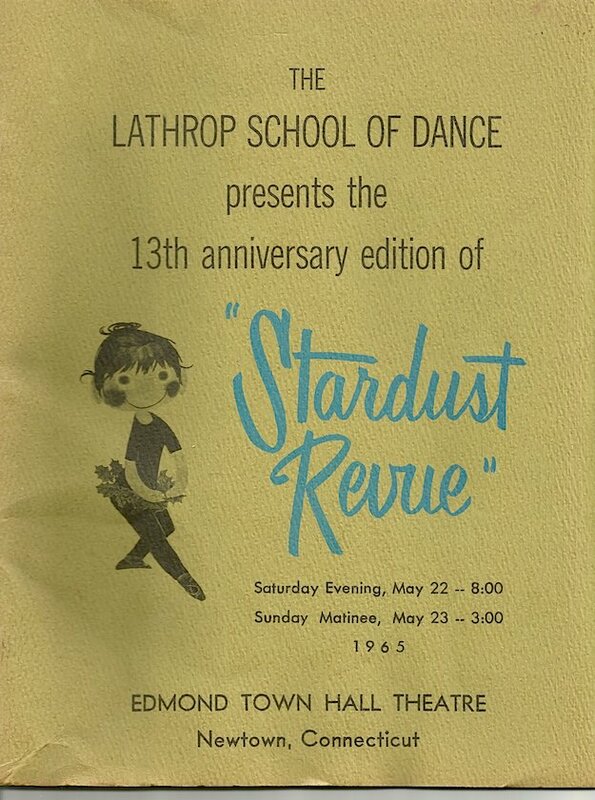 UPDATE - I contacted the owner of The Lathrop School of Dance - Miss Diane- who was happy to meet with me despite the fact that she was preparing for the current Revue performance that night. I handed her the program and she offered to pose with it. 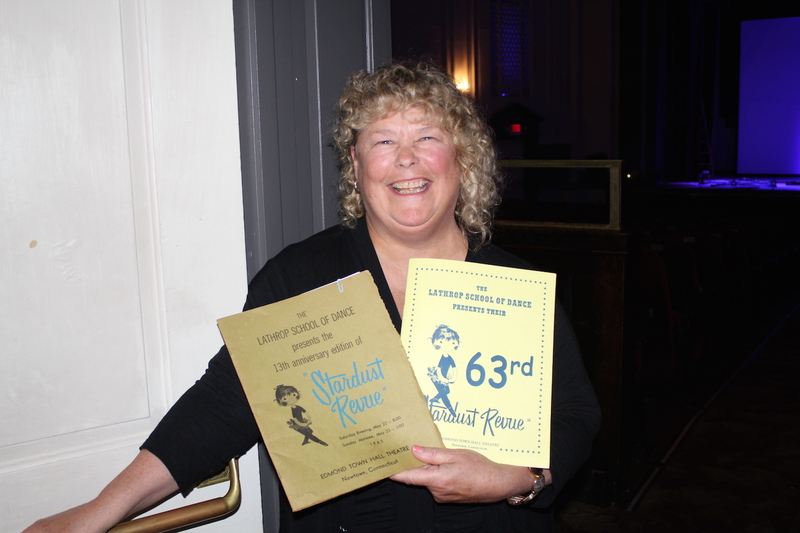 In her hands are the programs which show a 50 year span of time - the 13th Revue program from 1965 next to the 63rd Revue program - Miss Diane revealed that she is in the program from 1965 -Now that's a coincidence! 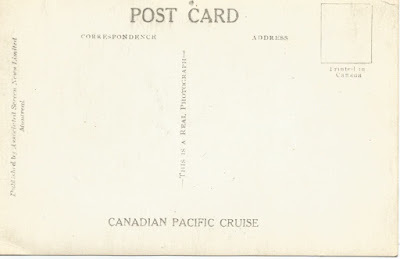 I have tried to research the age of this card - which comes courtesy of Canadian Pacific Cruise - but I lost the trail. Most every search comes up with the more well-known "Carbinieri." The uniforms have similarities, but I am going with the caption that these are police and not military police. 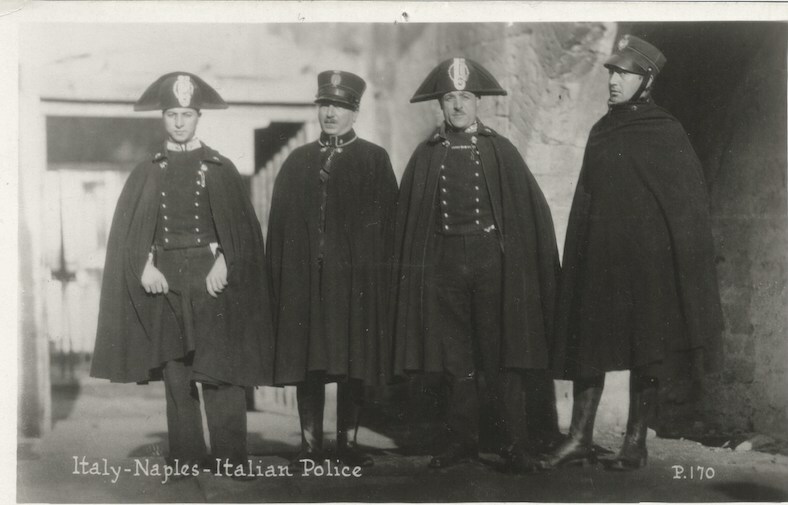 This was meant to be a souvenir postcard and maybe a simple educational tool for their European cruises so that tourists would recognize the police if necessary. 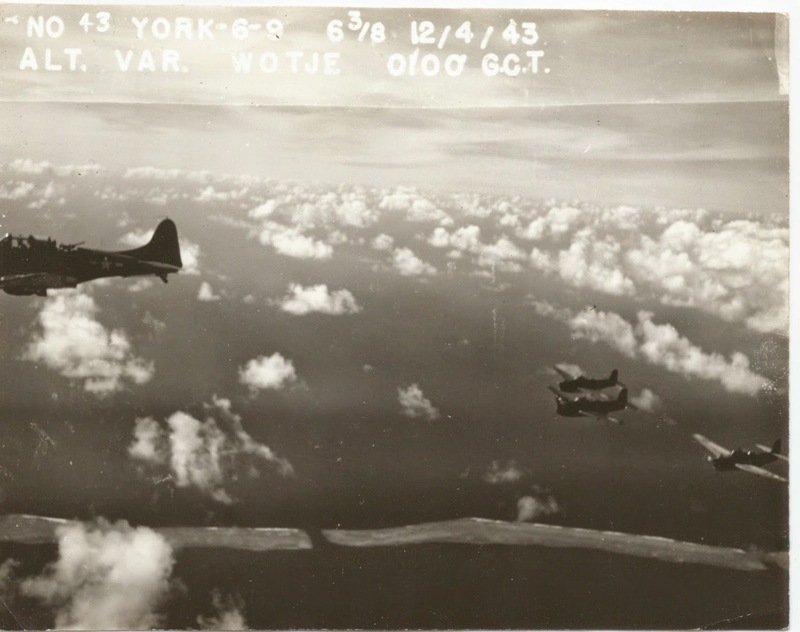 This is a real photograph because the back of the card says so. 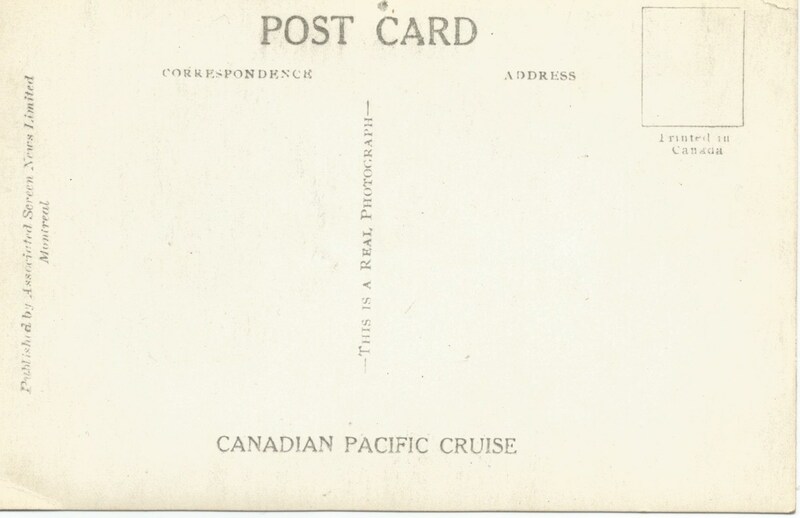 There is a way to date postcards, usually from the space for the stamp, but being that this was of Canadian issue, it may take a Canadian to make an official guess. 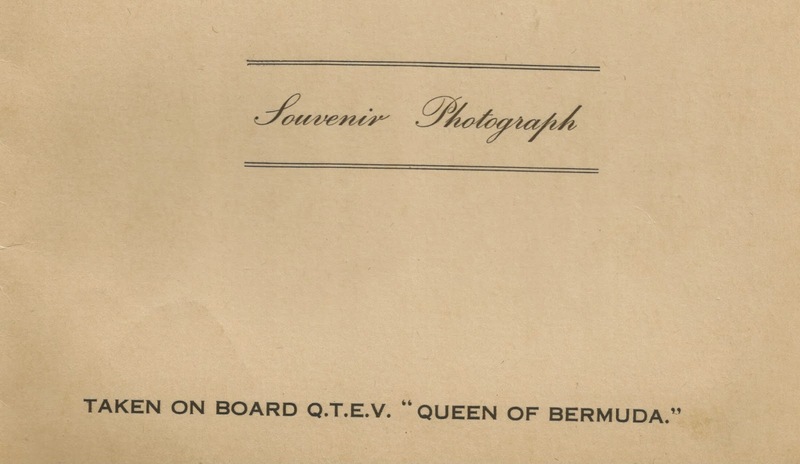 If you know more about the date of the postcard or the image, please share it in the comments. 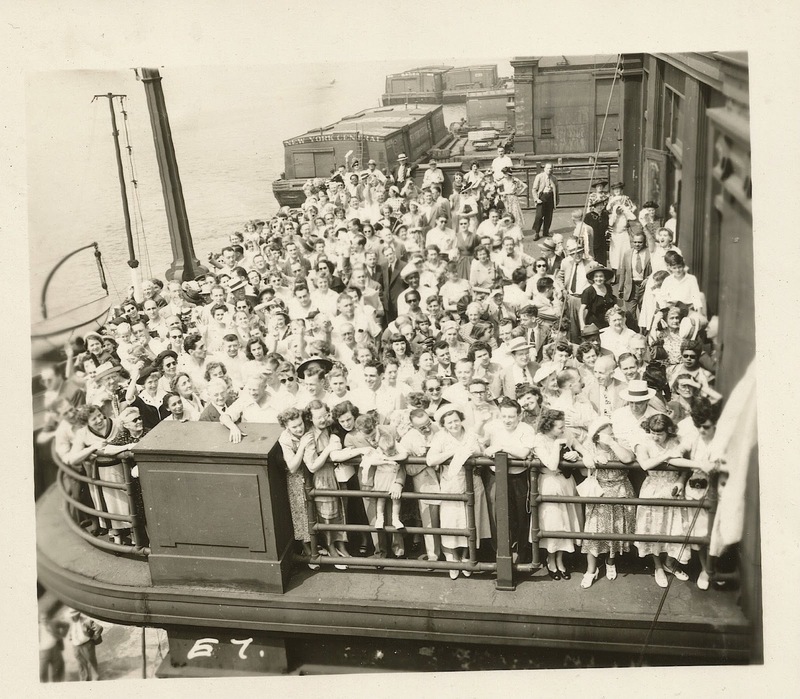 Recently, I have been all about found photos, not just because I found some; no, I found significant photos that document points in our nation's history. But there were also photos from typical family collections. Photography as a hobby was growing from the early 20th century as photo paper and cameras became less expensive. This is the writing of a meticulous and serious hobbyist. 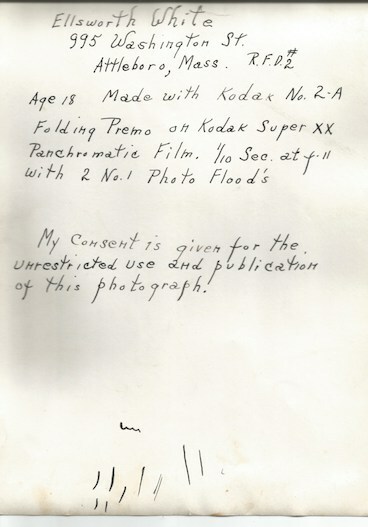 If only all photographers did this. 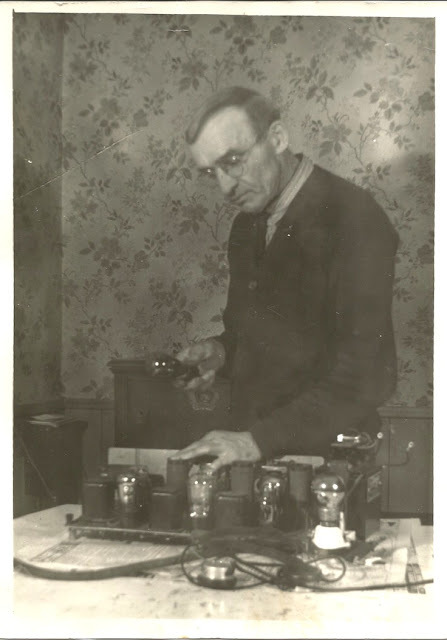 Unfortunately the only thing missing is a description of the surest and the radio he is posed with. Any readers want to guess? 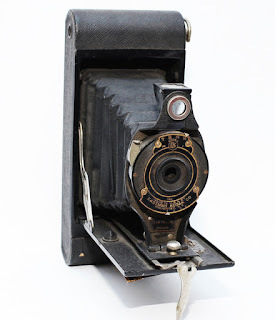 Here is the camera he used. 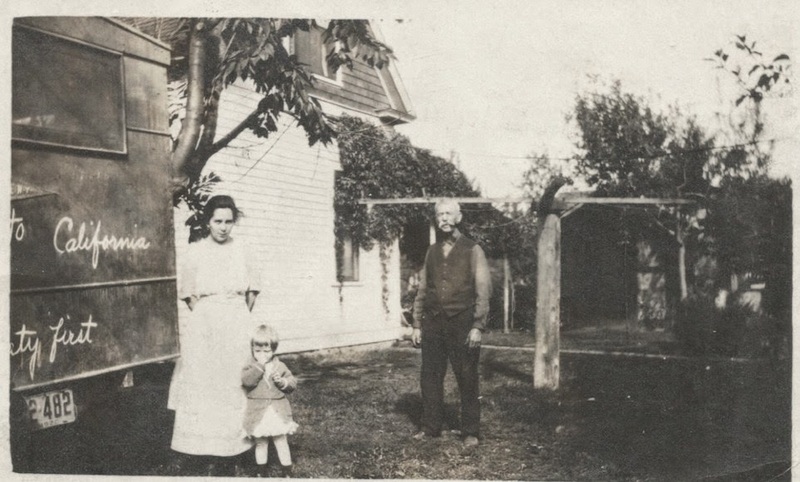 Ellsworth eventually moved to Troupsburg New York, became a dairy farmer, Joined the Masons and the Order of the Eastern Star. 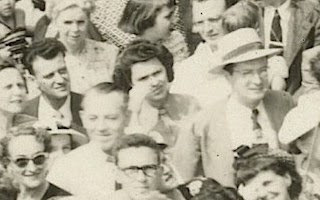 He moved to Florida in 1970 and died there at the age of 78 in 1986. I get dizzy just staring at the wallpaper, and then saw the floor and it got worse. 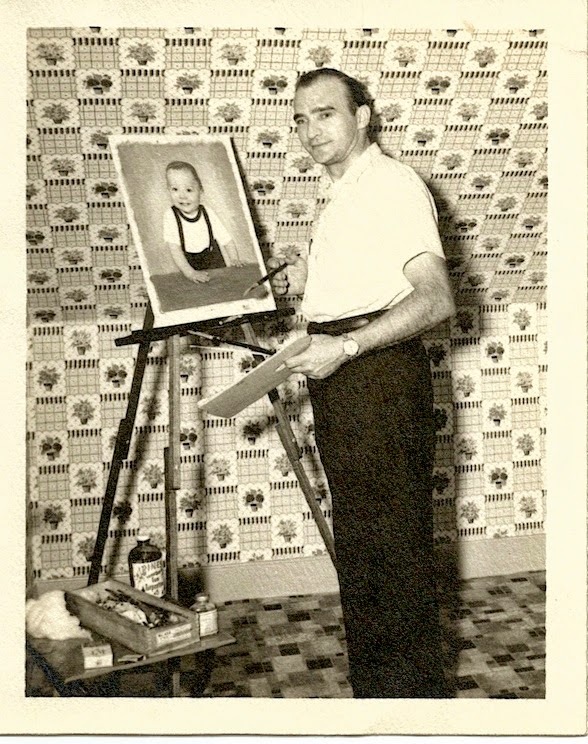 That he is able to paint the baby's portrait with any accuracy is no small miracle. Old photos are appealing to me. A moment in time and their purpose may have only been known to the souls frozen for that moment on a piece of paper (or glass!) This set is an interesting combo, but the most important one may be of the forgotten fighters. 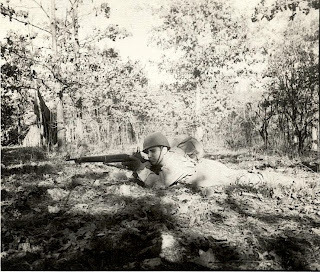 The only identification was penned on one edge "Combat Drill." 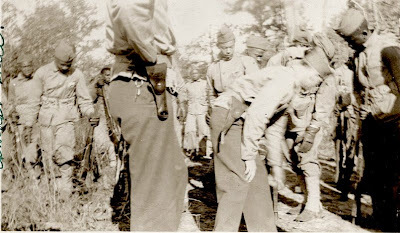 This Black unit was a common rarity as segregation during WWII was the norm, yet Blacks weren't trained for combat on a one-to-one basis with White soldiers. 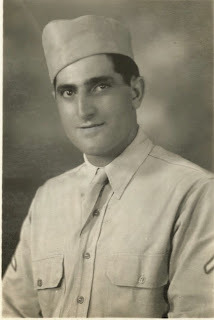 This was an irony because many many americans, black and white enlisted after the attack on Pearl Harbor. 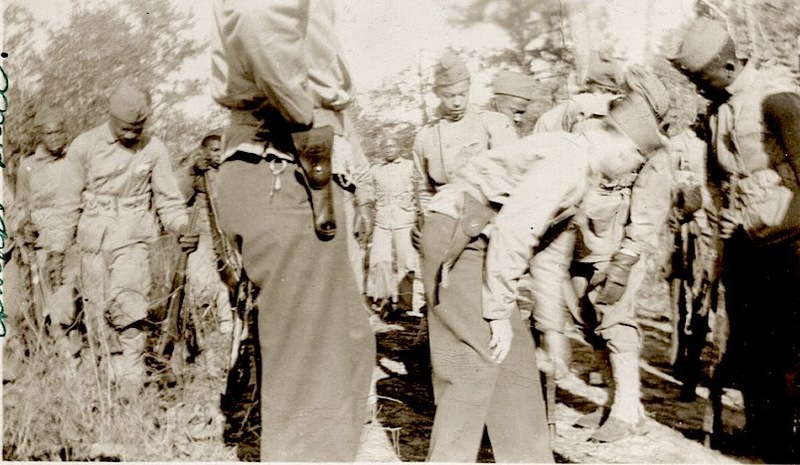 It wasn't until later in the war that platoons of black americans were trained and marched into battle. 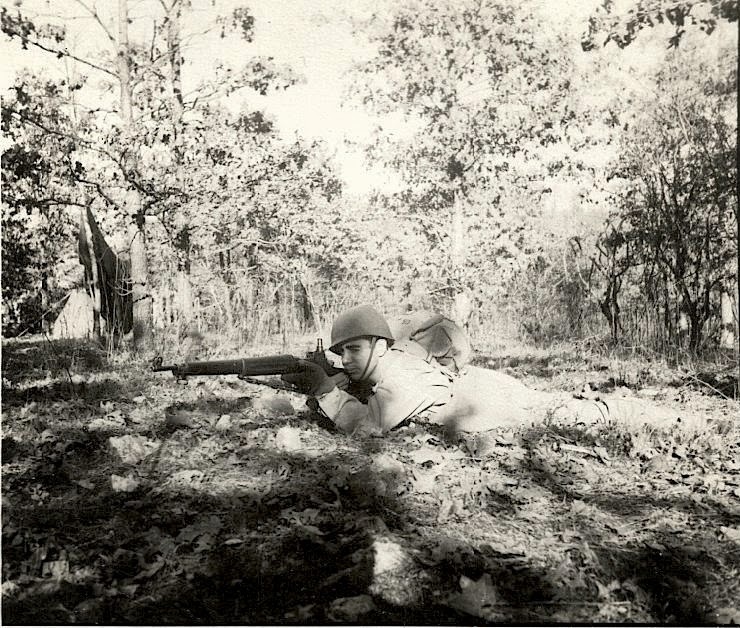 The reports from high command praised them for their cunning and tenacity against enemy positions. 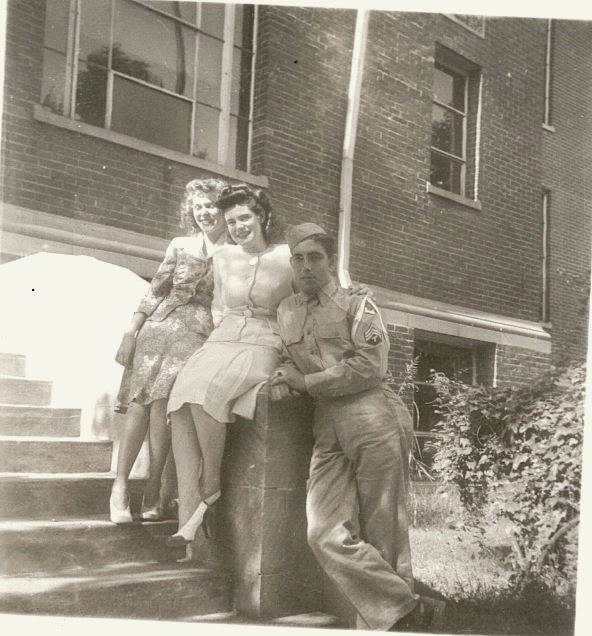 Sadly, when the fighting ended, these same troops were relegated back to segregated positions. 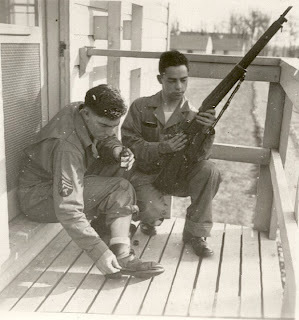 I wish I could make out which platoon these troops were from. This image which depicts a soldier gluing a shoe and another in pants that are clearly too long for him - odd. 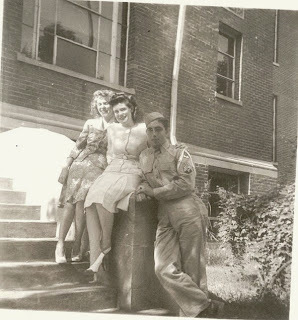 These three look like a 2-3 day pass would serve them well, although I am guessing that the 2nd girl is the date of the photographer. These last 2 are awesome images straight from inflight during maneuvers, or possibly a mission. I am hoping a visitor can help me identify the coding on the top of each for exact meaning. 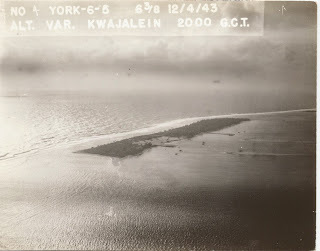 I know that one image shows the atoll of Wotje - which there is much written online - click here. 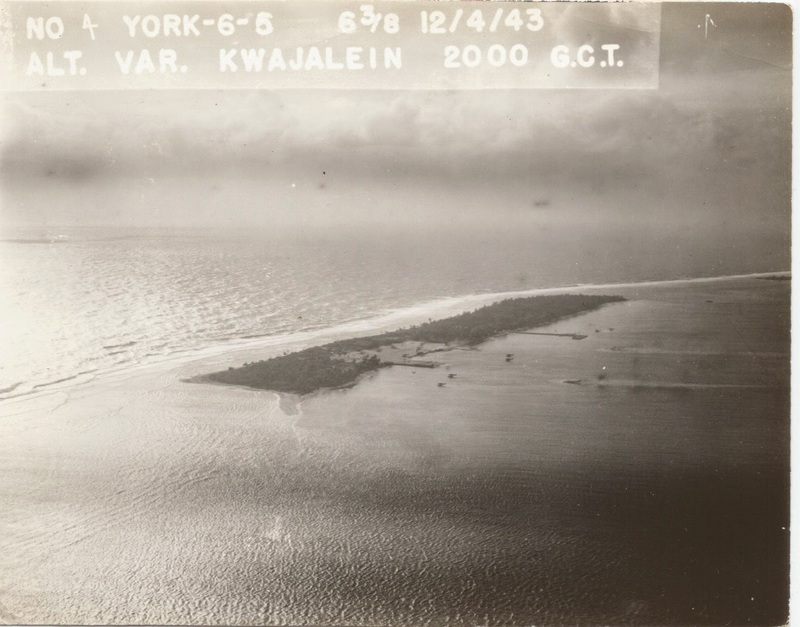 And, this last image is Kwajalein another strategic win for the allies once the Japanese were defeated here. This posed group is cute although the year is a mystery - Maybe 1905. Can tell if the ladies are wearing swimsuits or coverups or just dresses. Their shoes say, "No." to swimming. 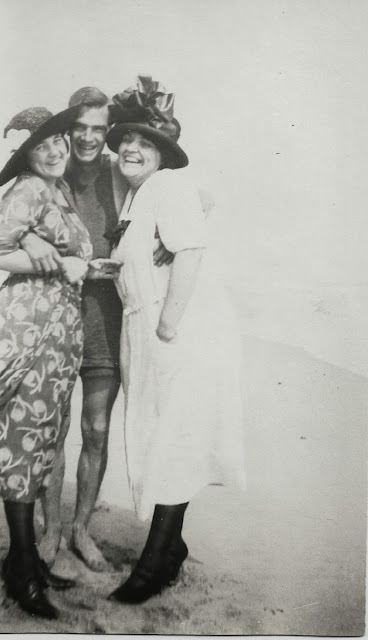 However, for the Victorian era this level of female modesty at the beach would be no surprise if they were in swimsuits. What an era. He is definitely wearing a swim suit. This is another single image from the pick last weekend - I will have to guess what it means, though the clues within this image reveal a turbulent time in American history. 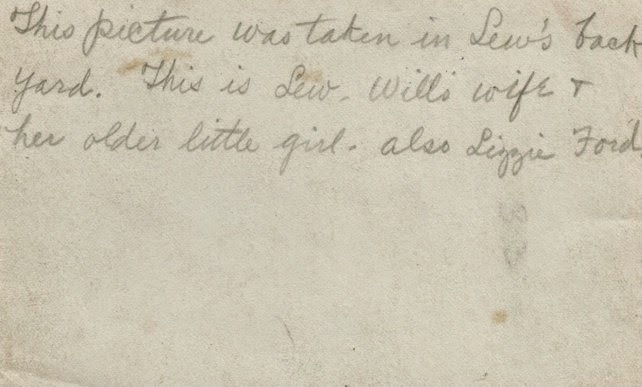 "Lizzie Ford" could be a person but I doubt it. The Model T "Tin Lizzie" was made from 1908 to 1927. This doesn't help with dating the photo or even verify the migration? or vacation? question. Can you pull more clues from the images? Help is always appreciated. Punk Rock Found in a Box of Nuggets! I learned something new with every item I uncover. 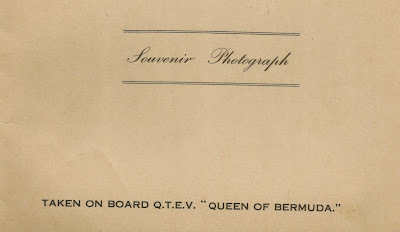 This card was in a pile of images from 50-100 years ago. This is a 1977 (approximately) promo card for Canadian punk rock group "The Diodes." It is a classic pose from the punk era and the closer I look the more I see. Notice the random pieces of tape used as a fashion accessory - functional and non-functional. 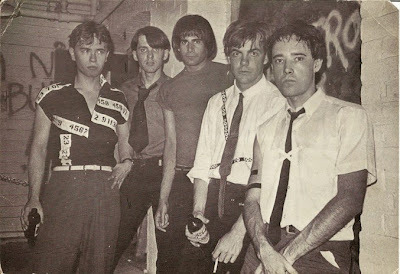 Different from most bands, these guys actually started their own club in Toronto called "Crash and Burn." The first punk rock club. 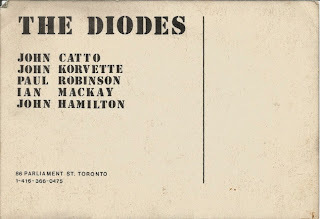 In 2011, the band was voted "Best Toronto Band Ever" in a pole by the Toronto Star, beating out RUSH. They released 3 albums and their song "Tired of Waking up Tired" reached #23 in a list of top Canadian songs in 2010. You can read more about them here, and here. More photos from my latest acquisition. These were 2 photos from a perspective I had not see before. 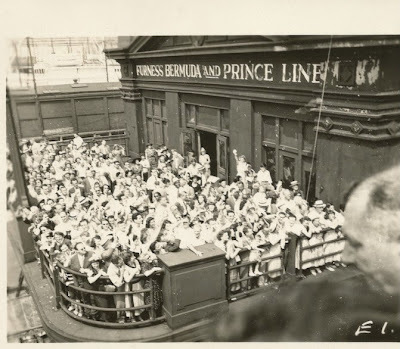 I was wondering...Who wants a picture of a crush of people? Maybe a last reminder of what you're leaving behind? 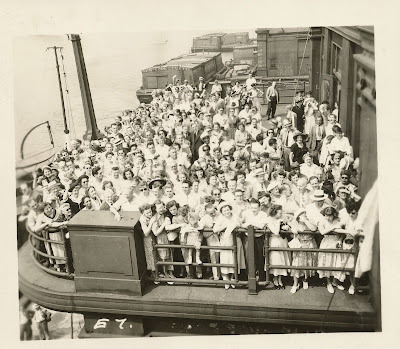 Or, Maybe is just an opportunity to scan the photo onboard and look for a hint of jealousy in that half-hearted wave of "Bon Voyage!" Oh well, I hope they had nice weather. 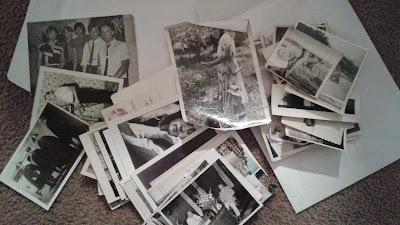 Found Photos Tip: Buy 'em! A good friend once advised me, "When you see a collection of buttons at a sale - Buy 'em!" The advise was to become a button collector, it was another place where things can lost or left behind. If you look through the tin or jar of buttons from a sewing kit, 9 times out of 10 you will find something that didn't belong there - a coin, a campaign button, etc. This week's find was the home of a collector, and among the variety of items were selected groups of photographs. I am someone who enjoys photo forensics - the art of interpreting the elements intentionally captured by the camera and unintentionally captured. Sometimes a great story or slice of life worth sharing is hiding in the pile. I advise treating them like buttons - buy 'em! See below for just one of many more examples to come from this pile. 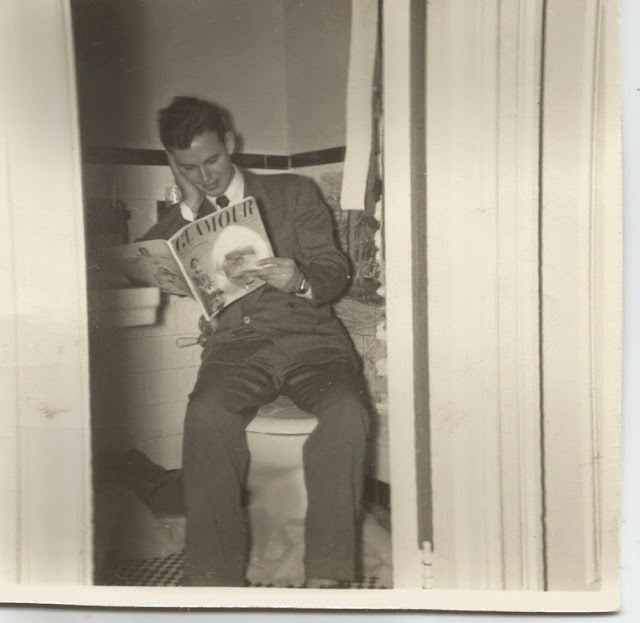 If you're going to read Glamour magazine on the pot...do us all a favor and lock the door. Thanks! Aw! 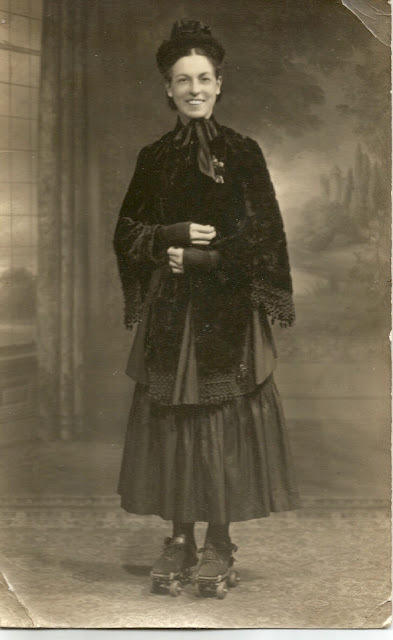 Your Great Grandma Wore Roller Skates! No really, if she wanted a good leisure activity, there's a good chance she went skating. I had no idea she would dress this well to do it. This Stamp Should Be Priceless...Why Not? 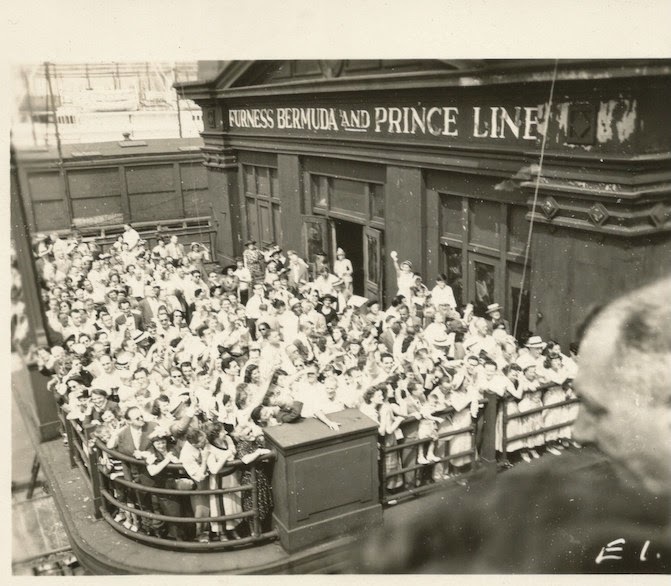 The hardest part about collecting paper is that, when you really start looking back at different eras in printing and illustrating, the images all begin to look priceless. Look at this stamp I picked it up off an attic floor. I didn’t know what to make of it. Using a magnifier, also found in the attic, I could make out the words on either side of the portrait. One small web search and I discovered that it was indeed a stamp printed during the Civil War and the value is around $700 dollars. Not bad for just looking around in an attic, right? Digging deeper I found a specialist Trish, who has been collecting all kinds of CSA stamps cancellation mark, etc for some time. 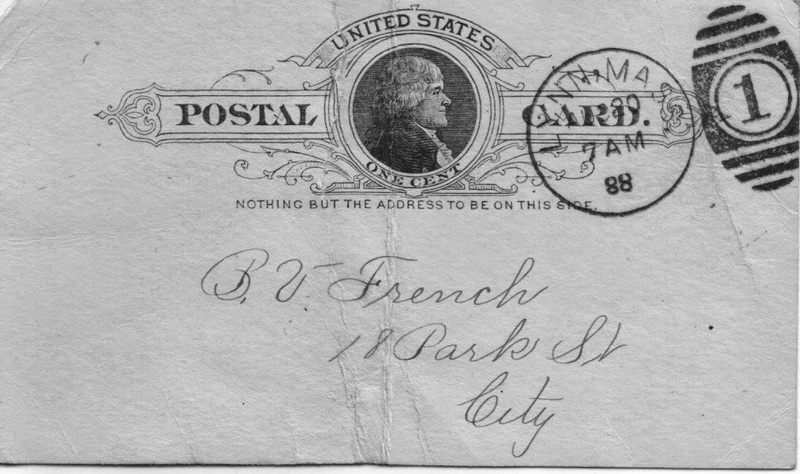 I reached out to her mainly because I knew that these kinds of stamps are rare - rare that they would just show up on an attic floor for yours truly to find. The first thing Trish wanted to know? Was it gummed? 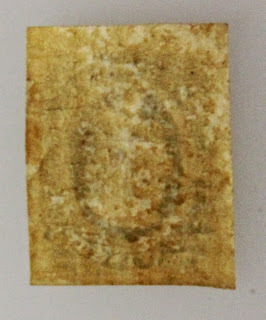 Seeing the discoloration on the back I concluded that, yes, this was a gummed stamp. Interestingly, this was the first test to see if it was worth the big bucks. The non-gummed version is very common among collectors and worth about $7. The next test was the one that usually kills all hope of early retirement in these finds…Is there any kind of odd color or cancellation mark? …..No! Well, that ends the game right there. 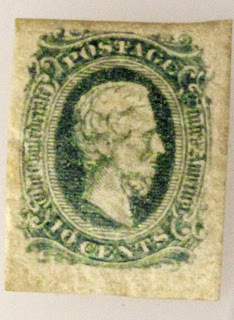 Although, because it passed the first test and because the quality is pretty good, the stamp (Scott catalogue # 230e93) is worth about $16. Now, that is not bad for the fact that it only cost me a deep knee-bend and some time at the computer to make $16 - but, I'm not a dealer, so I never will see that money. The real lesson came when I found out that the stamp collection I had the opportunity to inspect, but didn’t have the knowledge or the time - likely had several more of these stamps and possibly the really coveted ones. It was sold early in the sale to someone who did know what they were buying. Rats! You can learn more about CSA stamps by visiting Trish, here. 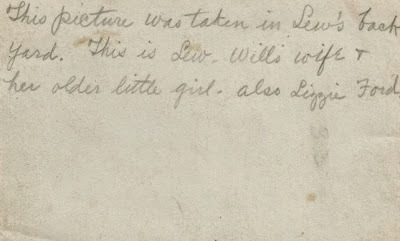 I have other papers from the 19th century from the First Church of Lynn, MA. that I will be posting soon.